SINCE 1974 WE'VE OFFERED TOP QUALITY VEHICLES WITH UNMATCHED CUSTOMER SERVICE. 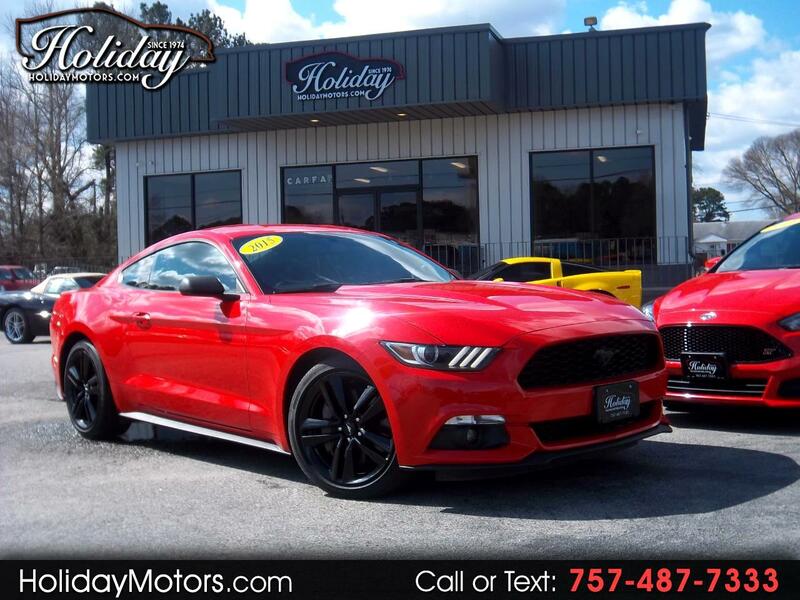 BEAUTIFUL CARFAX LOCAL 1-OWNER ECOBOOST MUSTANG WE HAVE HERE JUST FOR YOU! THIS CAR REALLY IMPRESSED US NOT ONLY WITH IT'S SUPER CLEAN CONDITION BUT THE POWER TOO. THIS 4 CYLINDER ECOBOOST IS EXTREMELY STRONG AND A LOT OF FUN. IT'S A REALLY WELL EQUIPPED CAR AS WELL. REALLY NICE LEATHER INTERIOR, HEATED AND COOLED SEATS, BLUETOOTH, AND MUCH MORE. WE OFFER GREAT FINANCING FOR EVERYONE OR BRING YOUR OWN FUNDING, WARRANTY INCLUDED, AND ALWAYS TOP DOLLAR FOR YOUR TRADE!